The Kremlin is following the presidential election campaign in the U.S., but it does not watch ‘holding its breath’ the debates of the presidential hopefuls, Kremlin spokesman Dmitry Peskov, told reporters on Sept. 27. "Frankly speaking, our agenda is too busy," he said. "On the whole, we of course closely follow how the election situation develops in the U.S.," Peskov said. "But this does not mean that we are watching all elements of this election campaign with an absorbed attention," Peskov said in comments on reporters’ queries. 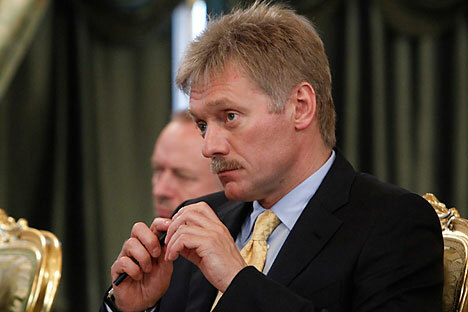 Peskov added that the Kremlin is taking notice of those candidates’ statements that concerns Russia. He stressed that the interest to the presidential race in the U.S. is "explained to a great extent by the fact that this time, as never before, Russia and (President Vladimir) Putin are inalienable factors of the election campaign". In reply to questions whether such debates were be possible during the next presidential campaign in Russia, Peskov said they had no relevance to the election process in the U.S. "We have our own election legislation and our own principles and rules of the election process," the spokesman added.